Those are NOT the 4 C’s of effective messaging. Instead, those often are the negative ramifications of poor key message development. Think about nearly any life situation where there is conflict, confusion, controversy or crisis. Nearly every time, one root of the problem is failure to communicate important information. We’ve all seen the results of bad messaging. People misunderstand a public policy because the explanation is laced with complex jargon understood only inside the Capitol building. Or, the reputation of a person or institution becomes woefully out of date because no one has made time to refresh the words they use to describe themselves. Often, bad messaging thwarts success when it comes to public awareness and reputation management. A fundamental component of any communications campaign is crafting effective key messages that support the organization’s overall goals and accurately convey information to the most important audiences. Simple, but far from easy to do. Simple, non-ambiguous terms are best. The faster you make the main point, the better. And, if you can inspire the listener to imagine a mental picture of exactly what you have in mind, that’s fantastic. The immediate reaction to most must have been, “Wow!” And, to this day, Americans remember that it was Kennedy who proclaimed the United States would put an astronaut on the moon… and then in 1969 we did. Think about how scientific jargon and bureaucratic language could have killed the inspiration of the moment if they’d crept in. What if the President’s speech had led with a recitation of complicated technological advances that would make space travel better? What if he’d talked for five minutes about metals, plastics, thermodynamics and aerodynamics? What if he’d waited until the end to mention that a human being would walk on the moon – and then come back to Earth? Highlight the gold nuggets of your messages distinctly and right away. Employ well-chosen words and phrases that are unique to your organization, are memorable and distinguish you from others. You don’t want to sound like everyone else. So, identify words and phrases that are pinpoint-accurate, novel, and best describe you, yet are terms that your competition absolutely cannot use. Curate a collection of the most alluring words possible that stay true to your mission and purpose. Avoid the generic. Transform those overused words into bigger, aspirational ideas. Dare to be fresh and shake up the status quo. Well-chosen words also help you build and maintain credibility. If you’ve adopted messages that are true and unique to your organization, people will understand and believe what makes you special. You want to use charismatic words in a balanced way, so they convey enthusiasm without hyperbole and support credibility at the same time. Use fewer words. The best key message sentences are short and pithy, packed with powerful words that speak for themselves. Concise language and writing always win the day. In today’s “click, click, click” world, it’s even more imperative to speak and write in shorter, more interesting sentences. A “No Trespassing” sign is concise and clear, and the treacherous dune cliff behind the sign is consistent with the message. Resist the urge to use a whole paragraph to explain each key message sentence. If the key message needs explaining, it’s not an effective key message sentence. Start over. Simplify. Break it up. Go back to your mission statement. Think about what a 30,000-foot view would look like. What is the one, simple point you need to make? Re-write the key message. Repeat with other key messages. Boiling down the essence of an organization to three to five key messages is an ideal way to start. Organizations that communicate best do this. Those three to five key messages need to stand on their own with no propping up and no footnotes. Every organization can do this. Again, it’s simple, but not easy. To some, three to five key messages may seem too constricting. 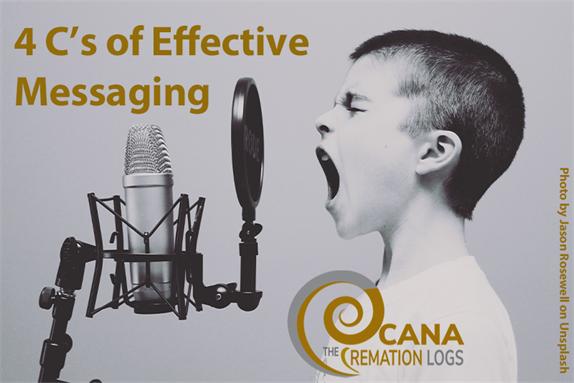 Keep in mind that once you’ve crafted those overall messages, you may choose to write supporting key messages. However, those supporting messages are reserved for use only in situations where your audience – not you – wants more detail and supplementary information. Don’t foist unwanted words on people you are trying to engage. Be ready for them to tell you that they want more. Your supporting key messages also must use clear, concise and well-chosen language. Whether you are the leader of a corporation, a nonprofit, an association or the United States of America, it’s your responsibility to ensure consistency of message. You and everyone else who speaks or writes on behalf of your organization must use your organization’s painstakingly-crafted key messages every time. This consistency underpins credibility and builds staying power in brand identity and reputation. Message consistency also is paramount in internal communications and is a lynchpin of healthy corporate culture. I’m not endorsing robot-like recitation of scripts. Instead, the goal is that all communications use the key words and phrases of the organization. This leaves room for each speaker to adapt the key messages to his or her speaking style. And, it allows people to write about the key messages in ways that are consistent with the overall meaning. Organizations that communicate best ensure that all representatives know the key messages and are well-practiced in conveying them. This starts with board members who spend time internalizing key messages, so they can present them to internal and external audiences to advance the goals of the organization. It continues with rigorous training for executive leaders and communications professionals whose jobs require them to define and explain the organization every day. And, many organizations ensure that every front-line professional is well-versed in key messages, so all of them can handle workplace situations in ways that support organizational goals and culture. We PR types always preach that consistent messages and repetition are the hallmarks of effective communications. But can being consistent and repeating a key message become tired and boring? It’s always about the audience first. The best communicators formulate what they’re going to say based on their audience’s needs. Why should this group care about what I want to tell them? What’s in it for them? What words and anecdotes will best resonate with them? The way I perceive the situation is less important than how the audience will receive it, so how do I immediately hook their interest in my topic? If I tell the old chestnut story again, will this audience relish it or disdain me? Answering those questions before you open your mouth will make your key messages fresh and tailored to the audience and prevent you from boring them with old chestnuts. The audience’s appetite determines whether your story is a luscious treat or a stale old chestnut. Before you address a group, understand their point of view and tailor your consistent messages to the audience’s needs. If they hunger for chestnuts, go ahead and tell those old stories that resonate best with them. If not, stay with the consistent key messages, freshened up. This post is excerpted from Kathy Schaeffer Consulting, LLC blog posts: Chestnut or Consistent Message? (August 14, 2018) and 4 C’s of Effective Messaging (April 11, 2018). You can read these and more recommendations for public relations strategies including public speaking, persuasive writing, and communications on their publicly available blog: http://www.ksapr.com/ksa-blog. Public relations activities help you build a positive reputation and educate important audiences in your community long before members of those audiences need your company’s services, and long before you need their support, such as for plans to build a crematory in your community or expand your operations. The CANA PR Toolkit, developed with professional PR firm Kathy Schaeffer Consulting, LLC, is designed to help you craft your PR strategy to grow your reputation and educate your community. This exclusive member benefit is available online and on-demand, whenever you need it most. Kathy Schaeffer, principal of Kathy Schaeffer Consulting, LLC (KSC), is a lifelong Chicagoan who now spends her time in Chicago and Michigan. 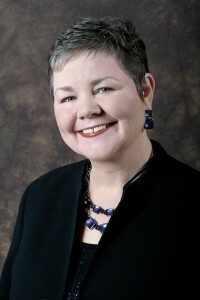 Kathy founded Kathy Schaeffer and Associates, Inc. (KSA), her issues-oriented Chicago PR firm, in 1994. Today, through KSC, she continues to serve clients trying to make the world a better place. CEOs praise Kathy’s media and spokesperson training and strategic counsel. Intuitive, inquisitive and straightforward, Kathy stands apart from sycophantic publicists. When she’s not working, you'll find Kathy swimming, biking, cooking or tasting wines.